Again we were at the Musee du Louvre in the 1st Arrondissement of Paris, when we took these high definition photos showing a sculpture called Incas, also referred to as Manco Capac, which was sculpted by Jean Guillaume Moitte. This first HD photo shows a bas relief, that has been depicted as a man sitting and beneath his feat is the name Incas, yet this sculpture is also referred to as Manco Capac, or Manco Inca, who was the founder of the Inca civilization and the main figure in Inca mythology. 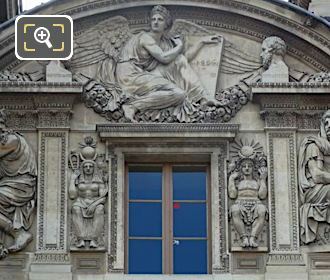 You will find that the Incas relief or Manco Capac relief was produced by Jean Guillaume Moitte who was born in Paris in 1746 and studied to become a French sculptor, winning the Prix de Rome that led to many different public commissions including several statues, funerary monuments and these for The Louvre. 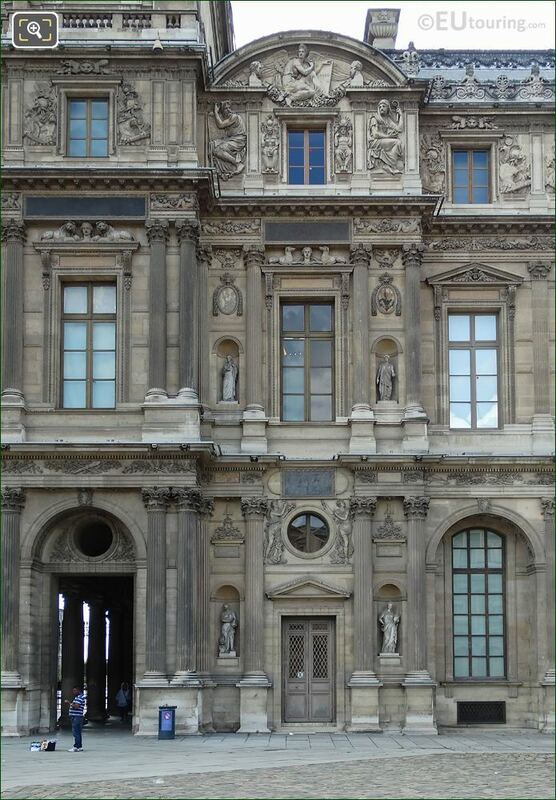 So here you can see the left hand side decorations adorning the Aile Lemercier, which is a wing of the Palais du Louvre originally constructed in the 1600s, yet these embellishments were only added at the start of the 1800s under the orders of Napoleon I, which were sculpted by Jean Guillaume Moitte in 1806. 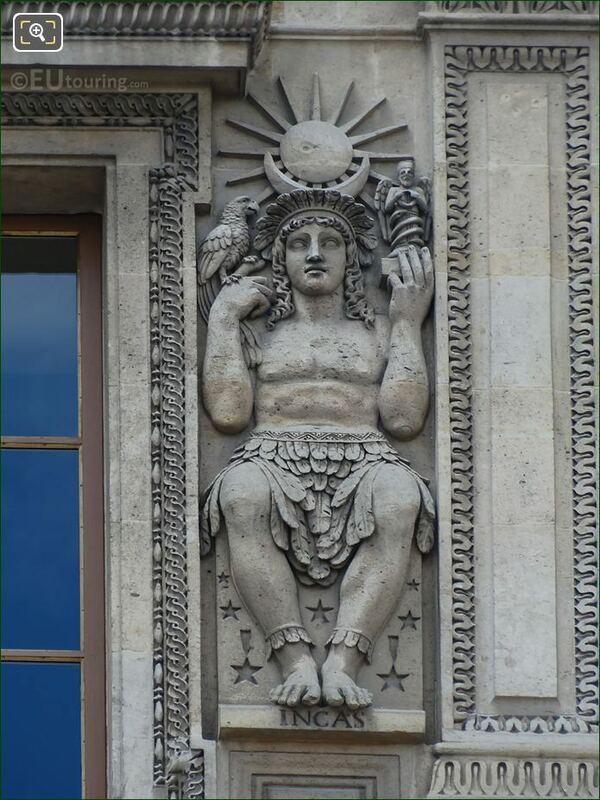 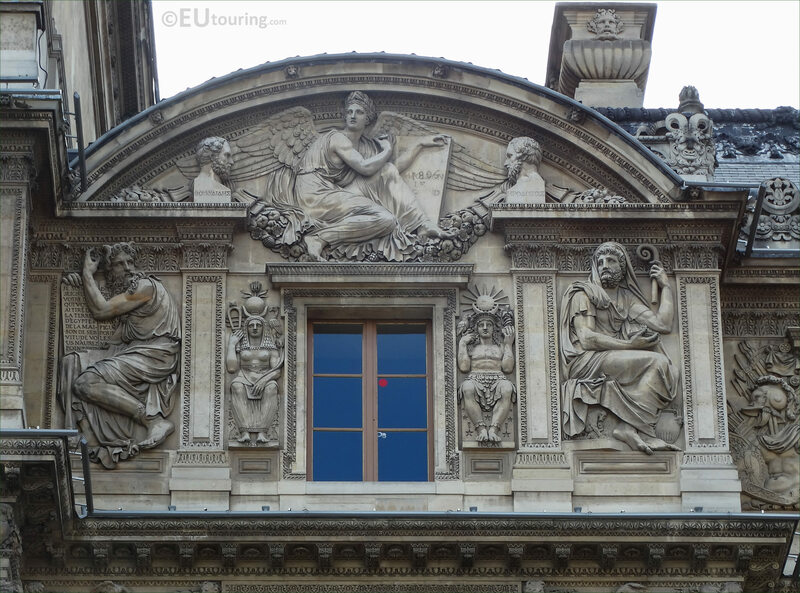 And the Incas bas relief, known as a low relief in English, can be found to the right hand side of the window on the third level of the Aile Lemercier facade below the pediment sculpture, when you are in the courtyard called the Cour Carree.